Today at the headquarters of Ucom, the results of young scientists and innovators contest, launched by the cognitive and entertainment TV-channel of Discovery Science, have been summed up. 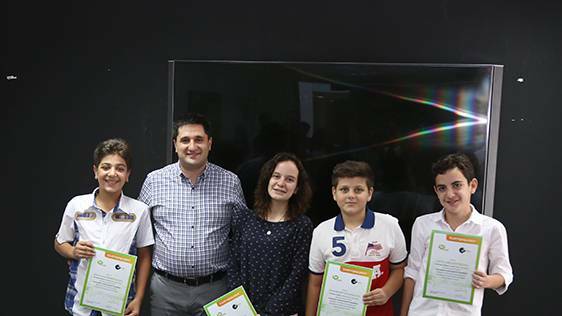 Samson and Hrant Hayrapetyan brothers, who have presented an innovative and highly topical project on what communication will look like in the future, were recognized the winners of contest and got the chance to visit the European Space Agency in Amsterdam. Currently living in Russia Hayrapetyan brothers have spent their summer holidays in Armenia. Having learnt about the contest, they presented three projects, one out of which has mostly impressed the jury. It’s about a gadget meant for the deaf-and-dumb people. This gadget should be worn on the hand so that it can translate hand movements into speech and then convert speech into video via holographic camera. 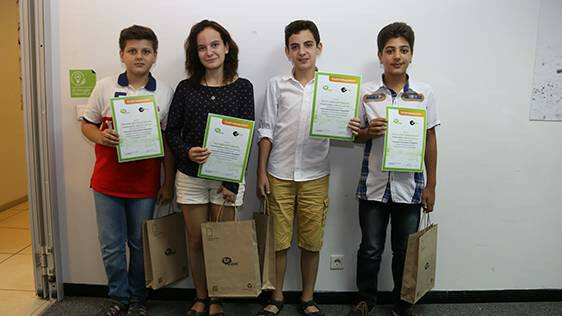 The idea on 3D means of communication by 12-year-old Narek Harutyunyan from Gyumri got special attention of the jury and Narek was awarded a letter of acknowledgement for such a bright idea. Narek is a student of “Armath” engineering laboratory. According to him, in the future people will possess such a device that will allow someone living, for example, in Yerevan to meet someone living in Paris in any part of the world. This device will enable seeing each other, for instance, at a café in Germany. “Ucom continuously supports “Armath” engineering laboratories, the potential of which is really big. I’m pleased that the students of “Armath” prove their competitiveness in international contests and are praised for that,” noted Hayk Yesayan, General Director at Ucom. 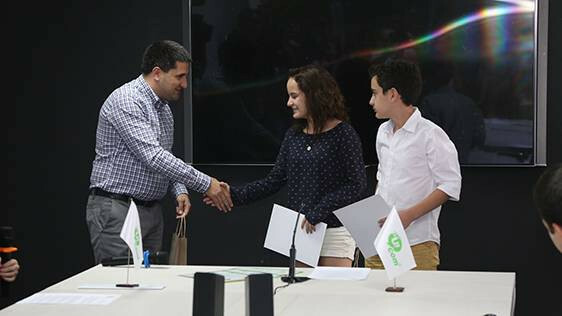 The jury was also impressed by the idea presented in a video by “Ayb” high school students Ani Aznauryan, Aren Aznauryan and Davit Abrahamyan. According to these young scientists, in the future people will communicate via network that will not create environmental problems, will use the solar energy and generate oxygen, thus contributing to the expansion of green zones. Authors of the last two projects received encouragement gifts and certificates of appreciation. Let us remind that the contest was open to schoolchildren aged up to 16. They were to present bright ideas on what communication would look like in the future.